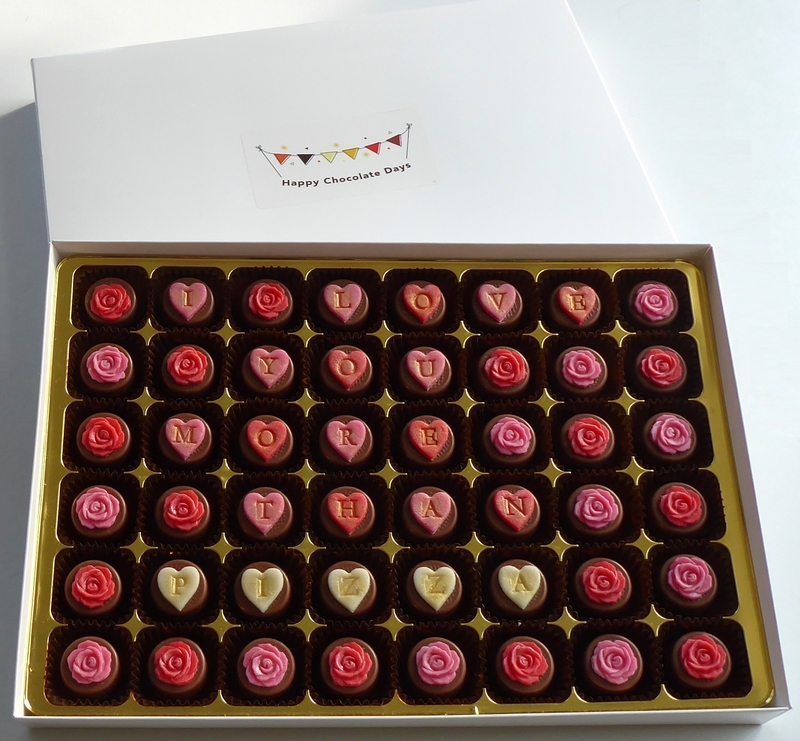 Declare your true feelings with this big box of 48 chocolates decorated with handmade roses and hearts with a message. 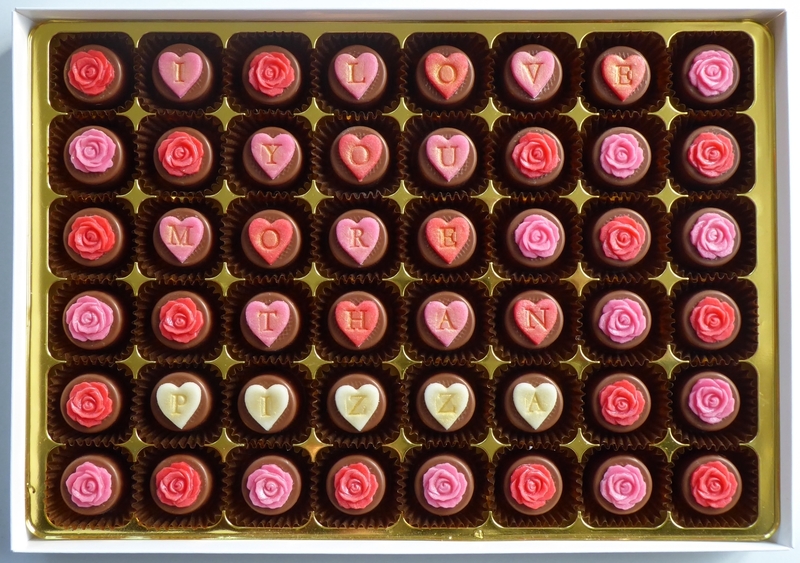 Give it some thought and make sure your beloved knows how you feel - I LOVE YOU MORE THAN... PIZZA/BEER/SHOES/FOOTBALL/PROSECCO - some suggestions or add your own word. 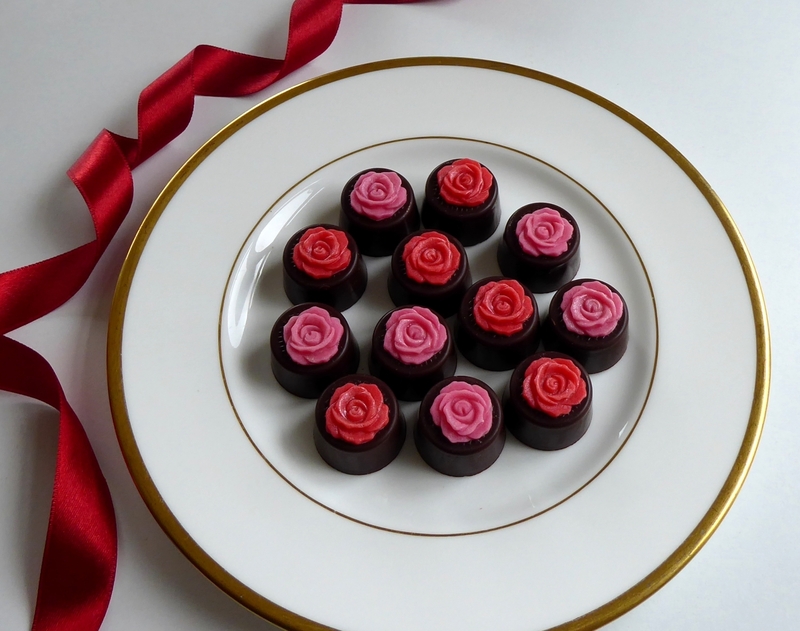 Choice of fillings and available in milk or dark chocolates.